How Far is Reliance Avan's Arena? 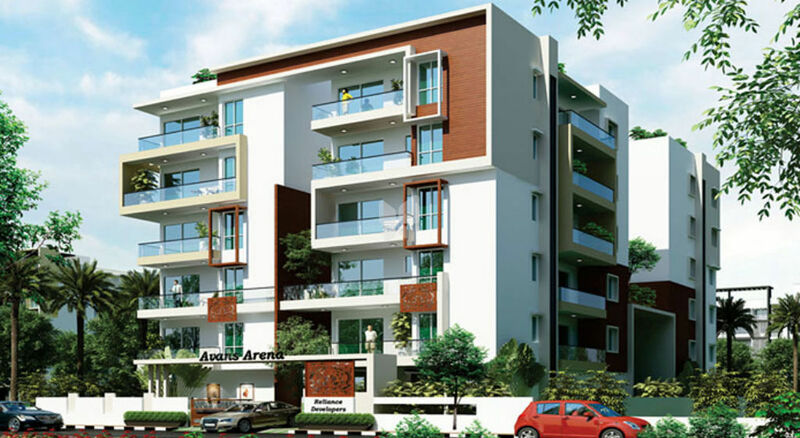 A testimony to elegant lifestyle, Avan's Arena offers modern living at its absolute best. Evoking an atmosphere of contemporary luxury and comfort, the exceptional abode is immersed in highly appealing and evocative features. 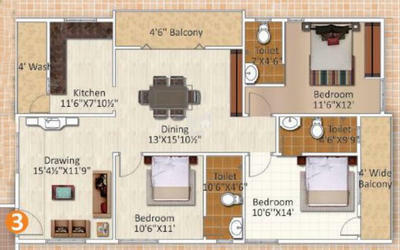 Enclosed within an expansive setting, the independently planned apartments assure a relaxed pace of life, for lifetime. Internal & External: Double coat cement plastering of 12 mm thick finished with lappum. Main Door : Teak wood frame with teak wood shutter, both sides finished melamine matt polish fixed with good quality Brass hardware. Internal Door : Teak wood frame with threshold, astatically designed double shutter doors with traditional fittings. Windows : UPVC sliding /open-able doors complete with designer hardware of Fenista / Equivalent make. Internal : Smooth putty finish with 2 coats of premium eco friendly volatile Organic Compound (VOC) free paints (Royale Emulsion) of premium brand. External : Lappam finish and two coats of exterior emulsion paint of premium brand. Parking area : Oil bound distemper paint over luppum finish and Water-proofing. Dinning & Living : Appropriate size imported marble like or equivalent. Master bedroom & other rooms : Premium laminated wooden flooring. Granite/ 800x800 mm size double charged vitrified tiles of reputed make. Best quality acid resistant, antiskid designer tiles (300X600mm) size of reputed make with marble combination. 25 to 30 mm granite & Imported marble combination. Double body vitrified tiles or marble & Granite combination. Granite/Marble Flooring as per design. Kitchen : Any colour Granite platform with NIRALI SS sink with bore & municipal water connection. Provision for exhaust fan & Chimney. Utility / Wash : Provision for Dish washer & washing machine. Vanity wash basin/counter top basin with basin mixtures. Wall mounted EWCs with concealed flush tank. All CP Fittings are of reputed makes such Grohe/ Kohler / TOTO or equivalent. All sanitary Fittings are of Grohe/ Kohler/ TOTO or equivalent. Toilets : Well designed concept with tiles (300 X 600mm) size. Utility : Glazed designer ceramic tiles in the wash area. Kitchen : Glazed designer tiles upto 2 to 3 ft height. Power plugs for cooking range chimney, refrigerator, microwave ovens, mixer / grinders in kitchen, washing machine and dish washer in Utility Area. 3Phase supply for each unit and individual Meter Boards. Cable provision for all bed room/ living/home theater. High speed automatic passenger lift with rescue device, V3F for energy efficiency of Schindler /Kone equivalent make. 100% D.G. Set back up including A/c s with Acoustic enclosure. Staircase, common areas finished with granite/SS glass finish Railing. Intercom facility and CC Cameras. With a stalwart of the building industry such as Mr. S. Purnachandra Rao at the helm, Reliance Developers is raring to go. A Graduate in Civil Engineering(B.Tech) from a reputed university, Mr.Rao has an enviable experience of over 33 years in the realm of construction. During the over 3 decades in this field, he has amassed the vast experience of being involved in the creation of more than 2 million square feet of space. Through his able guidance, pioneering vision and unique style of management, Reliance Developers is scaling new highs. The company is also dedicated to the discovery and application of innovative building methods, eco-friendly initiatives and industry best practices.